Dominic Purcell first became famous as one half of a pair of criminally-minded brothers on the Fox show Prison Break. 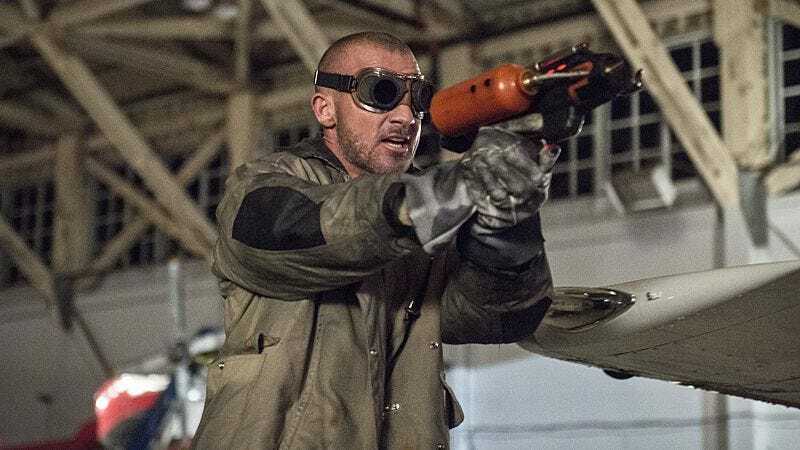 Now, he’s trapped in a prison of a different sort—one that involves being forced to communicate primarily through references to high temperatures as Mick Rory, a.k.a the recurring villain Heat Wave, on The Flash. Now, Deadline reports the actor is set to take his flame-related punning to new heights, as Purcell is joining the new superhero team-up show from Flash/Arrow creators Greg Berlanti, Andrew Kreisberg, and Marc Guggenheim. As previously reported, the show will find Purcell again teaming up with his Prison Break brother and co-nemesis from The Flash, Wentworth Miller. Along with Miller’s Captain Cold character, the two make for the most threatening temperature-affiliated villains since Melrose Place debuted “The Cold Front That Discourages Tank Tops” and “Warm For February.” The two will co-star in the show—set in the same universe as the CW’s other DC heroes—along with Brandon Routh, Victor Garber, and Caity Lotz. The network is planning on a fall premiere for We Are Also People Who Fight And/Or Commit Crimes In A Super Way, as it will no doubt be called. While Routh and Garber will be playing their respective characters of The Atom and Dr. Martin Stein, Lotz’s role is still unclear, since her Black Canary character was killed during Arrow’s season three premiere. (Presumably the character was felled by particularly egregious wordplay involving canaries and coal mines.) Hopefully this news will “stoke the fires of anticipation for the series”, as a CW executive will probably propose as a teaser right before being fired.